Fordekt moderne kommunisme, fascisme, kommunisme må vi betale for i dyre dommer: Til NRK (i Tv-lisens), helt fra Obamas dager og før det har de løyet for oss. Er det ikke på tide at NRK og dere alle i det minste PRØVER å se nærmere på infoen til andre journalister som ikke er medlem av den røde ekstreme side? Ekstremister er uvillige til å se nærmere på disse tingene. Jeg ber dere ikke om å godkjenne det som sannhet, for det kommer dere aldri til å gjøre, men la nå i det minste det norske folk få høre nyhetene dere aldri ville skrive om, så vi kan få bedømme selv. Jeg har betalt mange tusen kroner for å poste disse tingene, og det burde ikke være min jobb, med så høye kringskastingsavgifter vi betaler. Tross alt har dere visst om disse tingene lenge. Se på Flynn, Tyrkia og Trump: NATO; Tyrkias medskyldighet i gassingen. Jeg ber våre myndigheter om unntak fra tvangen om å sponse journalister som driver ensidig partipolitikk og NATO-reklame, uten å være villige til å høre på noen andre synspunkter, langt mindre skrive om de, for dere gjør meg delaktige i mord. Jeg mener det alvorlig. Deres propaganda er med på å forme verdensopinionen og velgerne til å stemme på disse terroristene som beskylder Assad for å gjøre ting våre allierte har gjort. Det er lov å nekte militærvesen fordi man er imot drap, men ikke NKK-lisensen. Hvor ble det av trosfriheten? Når min mann, som leser deres kvalme rapporter om Syria, er død – hvis jeg overlever ham, er det første jeg kommer til å gjøre å plombere tv-en min. The U.S. used thousands of depleted uranium rounds in two 2015 air raids in Syria, Central Command confirmed on Tuesday. The controversial munition had not been used by the U.S. since the occupation of Iraq where it has continued to illicit claims of lingering health effects, particularly in Fallujah where U.S. forces fought intense close-quarters battles with insurgents. [Editor’s note: This report, albeit over a year late in doing so, has provided confirmation of what VT reported about the supply of weapons to the terrorist mercenaries in Syria. We reported how the weapons were shipped from Ukraine across the black sea to the port of Batumi in Georgia then trucked south through Turkey. We also disclosed the German origins of much of this weaponry which had been legitimately supplied to Ukraine to re-equip it’s tattered armed forces, but instead of going to the Ukrainian forces had been sold on by the utterly corrupt and criminal Poroshenko mafia regime in Kiev. Former president of Georgia and mafia kingpin Mikhail Saakashvilli was placed in charge of this smuggling when he was installed as mayor of the port of Odessa. 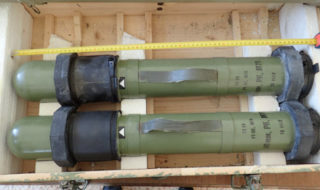 Bulgaria was the source of much of the ammunition as that country still produces large quantities of munitions in the calibres used by the former Soviet Union such as 122mm and 152mm artillery shells and 7.62×39 and 7.62x54R small arms ammunition. 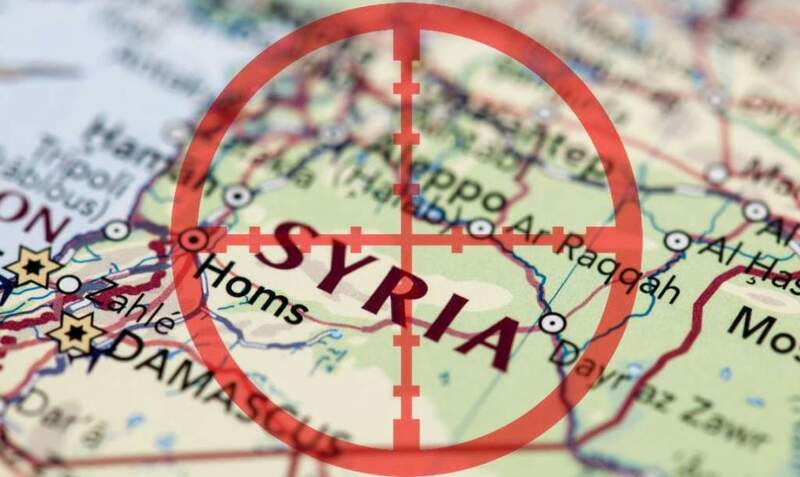 The other route for arms into Syria was over the Golan Heights from Israel or across the Jordanian border, in both cases, this was an Israeli-run operation. Behind it all is Saudi finance, and until recently, Qatari money was used too. The Syrian branch of al-Qaeda changed its name to Hay’at Tahrir al-Sham (HTS), and is now officially removed from the U.S. and Canadian terror watchlists. Now, the U.S. and Canada can donate money and weapons to the terrorists, and can even go fight with them against the Syrian government and spread their propaganda. It turns out that getting off the U.S.’ and Canada’s terror watchlist is as simple as changing your name. While the terror watchlist in the U.S. has long been both secretive and controversial – as “reasonable suspicion” is enough to label any individual a “terrorist” – terrorist groups tied to al-Qaeda have found that getting off the watchlist only requires minor rebranding, reported Mint Press News. The terror group, formerly known as Jabhat al-Nusra or the al-Nusra Front, has operated as al-Qaeda’s branch in Syria long after Daesh (ISIS) renounced its allegiance to the group in 2014. It was first placed on the U.S. and Canadian terror watchlists in 2012. Simply by changing its name to Hay’at Tahrir al-Sham (HTS), the group is no longer on terror watchlists in the U.S. or Canada, allowing citizens of those countries to donate money to the group, travel to fight with them and disseminate the group’s propaganda without incident. But the State Department is likely hesitant to label HTS a terror group, even despite the group’s link to al-Qaeda, as the U.S. government has directly funded and armed the Zenki brigade, a group that joined forces with al-Nusra under the HTS banner, with sophisticated weaponry, said MPN. 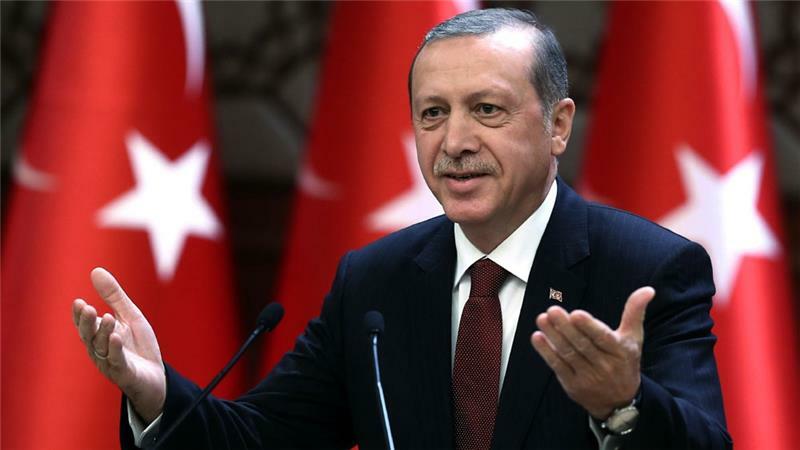 Such active military actions on the part of the Turkish leadership against the only armed formation in the northeast of Syria that is capable to resist ISIS have been heavily criticized by the international community including Turkey’s main NATO partners. Tenk om Jens Stoltenberg kunne føle det samme for ofrene for NATO i Syria? Men Dagbladet vil aldri nevne hva jeg sendte dem, for de har sine hellige guruer i Noble kretser. Det finnes terror i alle leire, ikke bare på den såkalte høyreside, enda man kan lure på om Utøya-terroren skjedde fordi det stod skilter der med “Boikott Israel”, og som vi vet er Likud og Netanyahu ikke akkurat forsvarere av høyresiden. Som redaktør Gordon Duff i Veterans Today gjentatte ganger har sagt så må man se på hvem terrorhandlingene gagner for å finne ut hvilken gruppering det er som står bak, ikke bare de som påstår at de står bak den, for det kan være en løgn for å villede. Al-Qaida og islam er “berre lekkert” og “tjocka släkten”. Israel og jøder gjør aldri sånt noe. [ Editor’s Note: As VT predicted, the real story on who was responsible for the horrors inflicted on Aleppo will be coming out, and some of the Western media are already looking for cover. We have reported on the many rat lines use by a variety of Western and Gulf State Intel agencies to arm the insurgents and jihadis and who later even provided Intel for their operations. NATO has been in it up to its eyeballs, in terms of knowing what is going on and assisting where deemed appropriate. The story below includes an interview with the Syrian MP who first reported the NATO and Gulf State officers in Aleppo, who we were already aware of, as they had been in other parts of Syria in opposition and jihadi command bunkers, which got a bit riskier when the Russians came in. But with the collapse of Aleppo, we knew there would be a treasure trove of hard evidence, and we are finding the ammo dumps that survived not being spotted and destroyed by the Syrian coalition. Much of this stuff will not have a paper trail from the US to Syria, but with some US and NATO ally stops along the way. Weapons all have serial numbers, which are wonderful things for tracing where they were made, with their transportation more of a challenge. A few tons of NATO weapons is a drop in the bucket. [ Editor’s Note: This is a short seminar on lobbying versus espionage. Listen carefully. No government pays out sums like a half million dollars, even through a middleman corporation, for open source intelligence to be done via a former NSA director. The idea of it in this case was ludicrous. Turkey has a huge espionage operation in the US, with fingers deep into the business community as its primary operational blind, as you see in this case, with tons of money available, which draws the flies. Turkey has a huge already trained staff to provide “open sourced Intel”. So the only reason they lay out this kind of money to people at Flynn’s level is because they know they have access to classified information. In Flynn’s case it was the current briefings that the Trump transition team got in December, where everything in it was classified and current, which is why Turkey wanted it. What they were buying is a guy that felt would be beyond suspicion. And I am sorry to say that there is always a pool of such people putting themselves on the market for such activity when administrations change as prosecution for doing this historically have been zero to my knowledge. It is looked upon as “free money”. An “appointment” with a former top security security or law enforcement person generally runs in the $100,000 range. No one is looking for open source Intel. Flynn was a bonus for them as he just subbed the work out to a quickly assembled crew he had put together, might I say a Santa Claus endeavor where the money gets shared around among those willing to be players and are always at the ready. And lastly, and this is the worst part…there is a sad long history of high US officials involved in espionage, particularly for “allied countries” [ Israel is the top of the pile], working on the deferred compensation program. While on the government payroll they work for free and then seem to enjoy miraculously appearing board memberships and consulting contracts when they “retire”, leaving a paper trail of semi-worthless “open source” work product and sub contractors to prove some work has been done. Thus, in the course of his negotiations with Flynn Intel Group, “the need for a lobbying and PR component was agreed upon but never executed, which is why I reclaimed and they reimbursed some $95,000,” he said. [ Editor´s note: This week, thugs paid by Erdogan assaulted Kurdish demonstrators outside the White House. It was Turkey that brought Sarin gas to Idlib and Trump attacked Damascus for it. Trump allowed Turkey to repeatedly bomb America´s allies in Syria, with American advisors embedded with them scrambling for their lives. Now we see that Trump and Flynn scuttled US efforts against ISIS on behalf of Turkey, Flynn got $530,000 and Trump simply served the gangsters who financed Trump SOHO and so much more, his Bayrock partner. 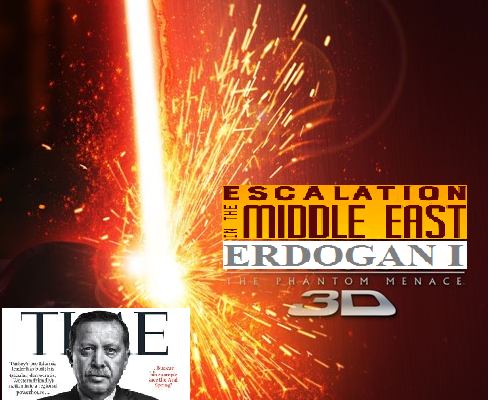 Bibi and Erdogan are joined at the hip in military actions to oust Syria´s Assad. All along, VT has contended that Russian, Israeli and U.S. Kosher Nostra oligarchs and gangsters (with U.S. intel help) skewed and rigged the 2016 U.S. elections. The Kosher roosters are now finally come home to roost. 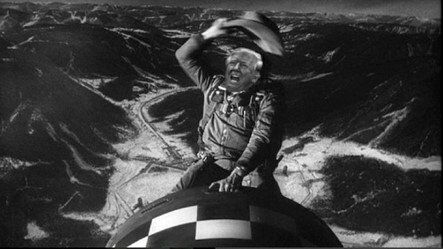 Dr. Strangelove: How Trump learned to be an Israeli puppet and loved Israeli orders. The current conflict with North Korea suggests that there are some ideas that are so dumb that only a Neocon Puppet or NWO agent will believe them. Rex Tillerson and other US officials really believe that North Korea, a country that is smaller than most of the states in the US, intends to attack America, Japan and China without provocation. Texas is almost six times as big as North Korea, and Kim Jung-un would be a complete idiot if he thinks that he could possibly survive a war with the United States, Japan, and China. His regime would be thrown in the trashcan of history within a matter of days or hours. It seems that there is more here than meets the eye and ear. The United States has been saying that South Korea must pay for an anti-missile system (Terminal High Altitude Area Defense, or THAAD) for years. The Trump administration, which is now run by the Neocons and the Israeli regime, probably sees that the conflict between the US and North Korea is a perfect occasion to build a Neoconservative kingdom in Asia. After all, if North Korea is not a threat, what’s the point of spending billions upon billions of American tax dollars on missile defense systems in Asia? The Trump administration obviously perceives that the American people would never approve such a pointless enterprise. As we have seen in previous articles, some voters took Trump seriously precisely because they thought he was going to get them out of the Neocon misery and lead them to the promise land, where “America First” would be essential to US foreign policy. By attacking Syria and inventing a conflict with North Korea, Trump has obviously grabbed his own voters by the hair of their heads and dragged them back to their oppressors, namely, the Neoconservatives and the Israeli regime. 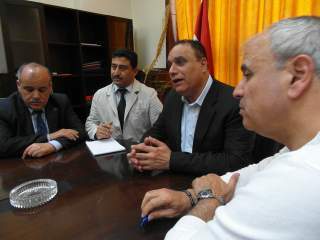 In fact, it was Israeli officials who postulated that “North Korea presents the greatest threat to global security.” For the Israeli regime, North Korea committed an unpardonable sin when they declared in 2015 that Israel represents “dictatorial forces for aggression that trample down the legitimate right of the Palestinian people,” and it seems that the Israeli regime has never been able to forgive North Korea ever since. The Trump administration, as a puppet government, had to side with Israel and invent a superficial conflict with North Korea. Enda det skotske rettssystem har fastslått at det å ikke være sionist; dvs antisionist, IKKE er det samme som å være antisemitt, har den franske president sagt at det er “så det så”, mens han klemmer hånden til Trump til krampa tar ham. Det er fordi både han og Trump vil forsvare Israel til siste åndedrag. A month ago I wrote an essay exposing the complex network of Western-sponsored terrorism in Asia (“Washington Jihad Express: Indonesia, Afghanistan, Syria and Philippines”). I argued that in the 1980’s, Indonesian and Malaysian jihadists, indoctrinated by the Southeast Asian brand of extreme anti-Communism, went to fight in Afghanistan against the socialist governments of Karmal, and then Mohammad Najibullah, with the ultimate goal of destroying the Soviet Union. 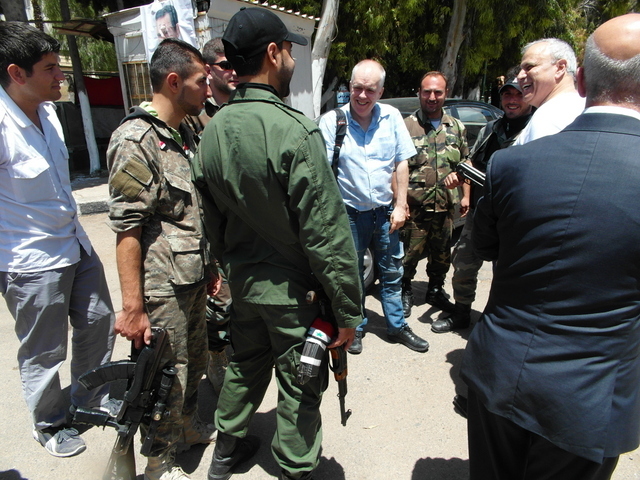 [ Note: I first met Declan Hayes, a modern Irish rebel, as a fellow election monitor at the Syrian 2014 elections. We were both in the group assigned to go to Homs, one of our choices. We started the day heading out in two vans and with two van loads of soldiers to speed us through the endless checkpoints. Once there, we got an hour briefing and visit with the governor, and then headed out to visit a half-dozen polling stations. We were given free rein to interview anyone we wanted. As I was grabbing photos and video media, I got a lot of media of Declan, as he is a non-stop talker. He has done a huge amount of work in Syria via his organization, with numerous and extensive visits, raised cash and donated all of it to a variety of relief organizations in Syria. Needless to say they love the guy. But such is not the case with the Irish government, which has wined and dined their version of state-sponsored terrorists – local backers of groups like the White Helmets. Yes, Ireland officially is anti-Damascus and Assad, and has bought into all the Assad killing and gassing of his own people, for whom Irish officials want war-crimes investigations, but are not interested dishing that out to the Irish Muslim groups supporting terrorists in Syria – the ones that serve Western interests. I neste blogginnlegg skal dere få se den “røda ros” (“Vil du være min rosenknopp, må du først vendte Ap-rosa opp”), NATO-leder Jens Stoltenberg møte den samme høyreving i Polen og ukrainske sikkerhetsstyrker som sponset Anders Breivik. USA sendte massevis av kjernefysiske våpen til Polen og 10.000 tropper for å bekjempe Russland som har tråkket dem på tærne ved å bekjempe IS. Previous Spørsmål til Knut Hareide – Tar DU hatten av for Kongen når det bes?